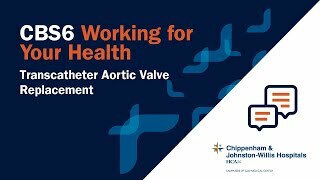 On this segment of Working for Your Health, Dr. Michael Arcarese explains what aortic valve disease is and a less-invasive procedure available for those with this disease. As Richmond braces for potentially more snow and ice and extremely cold temperatures, doctors are recommending you take precautions. Winter injuries land thousands of people in the Emergency Room each year. But there are things you can do to keep safe. Is a bad hip getting in the way of you enjoying life? There are signs that indicate you may need surgery to replace a hip. What are the benefits of a Level II trauma center? What are the most common orthopedic injuries? How can I prevent shoulder injuries during sports? Why is physical therapy important after hip surgery? What is the recovery period after hip replacement? What kind of physical therapy is needed after knee surgery? What is the recovery like for knee replacement surgery? What is the Levinson Heart Hospital? What types of injuries are treated at a trauma center? What are the differences between the trauma levels? When would surgery be considered to treat spinal injuries? What are the most common hip surgeries? 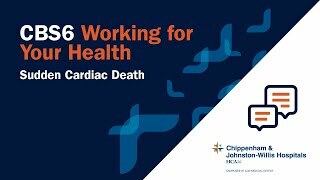 HCA Neighborhood HealthWatch - Coping with the "winter blues"
CJW Doc Minute: What are the symptoms of heart failure?